New York Fashion Week starts today and the entire FADER staff is doing last-minute prep for the upcoming seven-day hustle by laying outfits out on our beds and making sure we're stocked up on Emergen-C. More importantly, though, is our shoe game—the most important part of any wardrobe. 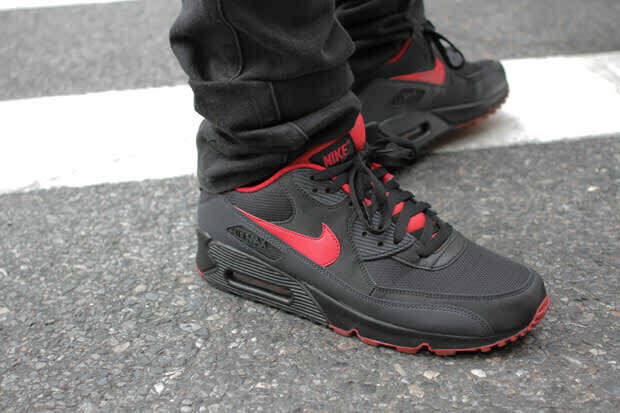 This year, I've decided to keep it cute and comfortable with a pair of Nike Air Max 90s to keep me in step as I fly all over Manhattan for shows. You'll be able to see the results of these footsteps all week by checking back for FADER's exclusive New York Fashion Week coverage, and if you see a pair of black and red Nikes swooping by you on 14th street, you'll know what we're up to.